NEXT EVENT IS 18 JULY - THE WEEK AFTER KINGS PLACE! 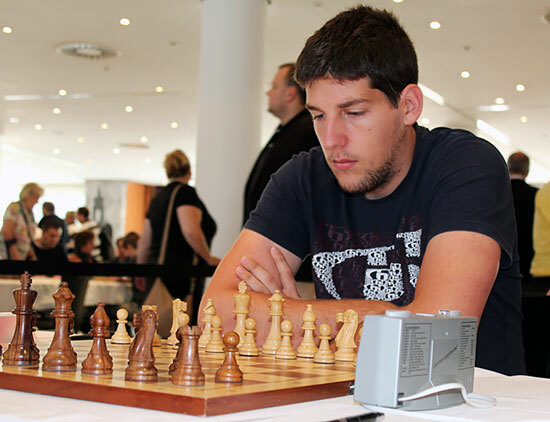 Open - Grandmaster Tamas Fodor (Hungary) recovered from last month's shock in his first appearance here and won probably the strongest Open tournament at Golders Green for decades with 5.5/6. He was also the first player to win the £100.00 first prize under the new structure. IM Peter Roberson and FM Peter Sowray won £25.00 each for joint second place on 4.5/6. The £30.00 prize for the best performance by a player graded Under 180 was won by Tim Rogers (169) also on 4.5/6. Major Under 170 - Oliver Finnegan and Ilya Iyengar tied for first place and won £75.00 each for their score of 5/6. In what was a strong-in-depth field the £30.00 prize for the best performance by a player graded Under 155 was won by outright third place Aravamudhan Balaji on 4.5/6. Minor Under 145 - Young Alexander Jamieson and the slightly more experienced Peter Horlock won £75.00 each for their score of 5/6. The £30.00 prize for the best performance by a player graded Under 130 was won by Mark Jordan (103) with 4.5/6. Amateur Under 120 - The ONLY 100% score today! David Bluestone annaihilated the field and won all his games. He was also the only player to defeat talented junior Xavier Laurillard, who scored 5/6 and won £50.00 for second place. Well done David - a well deserved £100.00 is on its way to your bank account. The prize for the best performance by a player graded Under 105 was shared by James Bedford (102) and Jennifer Goldsmith (89) and Nigel White (68) with 4.5/6. They won £10.00 each. David Bluestone, in sky blue! 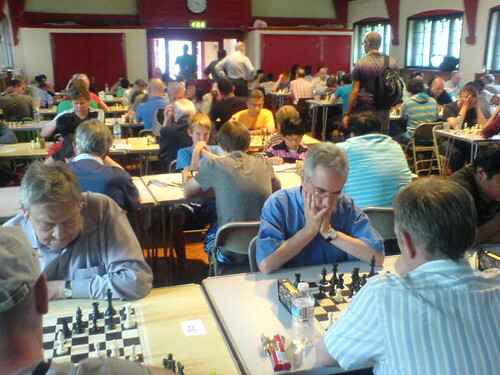 Our next Golders Green Rapidplay is on Saturday 18th July, and we hope to see you all there! The 29th Hampstead Congress is 13-14 June 2015. There are now TWO sections at Hampstead - Under 2200 (Under ECF 200) and Under 1900 (Under ECF 160) with no minimum rating to enter the Under 2200 section.